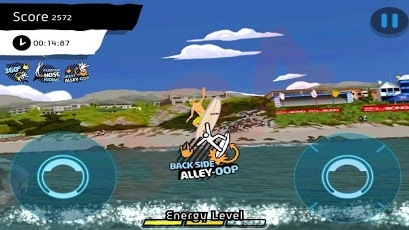 Best Surf Game ever ! – More than one million surfers can’t be wrong – Thanks for all your support and feedback! Billabong Surf Trip has won a Zon 2010 Award and is nominee for Best Sport game at the 7th IMGAwards. 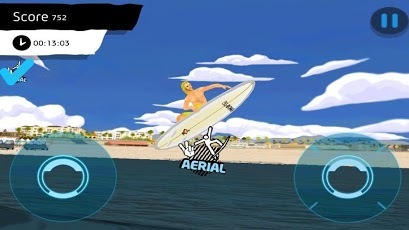 Experience different waves and master the trick challenges at 15 instantly recognizable locations from the World Champion Surf Tour. Huntington Beach, Jeffreys Bay,Teahupoo, Fernando de Noronha are just a few of the visually stunning recreations that await you and your board. 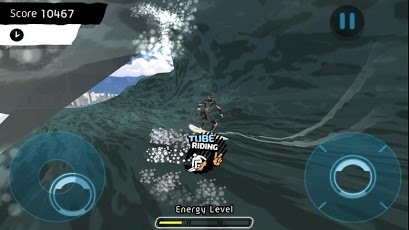 Each destination has been recreated with exceptional accuracy and because of the innovative wave simulation system, the game actually recreates the type of waves you find at each location in real life. No two waves are the same! Get essential tips from 2012 ASP World Champion Parko and Billabong’s A-team Pro surfer Taj Burrow. Let these guys guide you on your way to become the world’s greatest surfer! It’s your surfer so customize and choose from a variety of boards, suits hairstyles and boardshorts to create the pro-surfer YOU want. Different wave swells may need different kind of boards and it’s up to you to discover the best option.